Well, this month’s challenge was art. Now you may think, me as an art historian, I might love this challenge and burst from ideas. 1st: I only very occasionally work from the finished project backwards. I do not tend to recreate garments. I chose a pattern and a fabric and test were they will lead me. Most of the time the result does not meet the expectations I had beforehand, sometimes for the good, sometimes for the worse. To use a garment or a piece of art as the first step and trying to recreate this, makes me feel very uneasy. I desperately try to match what I see or want to reproduce with a pattern I have in mind, so I don’t have to create one on my own. I am really cowardish when it comes to experimenting with patterns. To spoiler you only a little, this was something that pushed me while working on this challenge and I discovered very new ways of creating garments. So this aspect really did pay. 2nd: My fabric-cupboard bursts with fabrics as does the built-in closet next to it. Additionally we will have to move again soon, so buing new fabric was strictly forbidden. Now let’s come to the cheating in the title: Knowing I would panic when having to recreate a costume without a pattern, first thing I did was flip through my patterns and pattern books. I so hoped that Janet Arnold may have written “comparable to the dress depicted in xyz” next to a pattern she traced or that I may recognize a famous painting or an engraving in one of the dresses in Nora Waugh’s “The cut of women’s clothes”. Well, neither was the case. So I put these books aside and had a look at all the coffee table and art books I found on my bookshelf. Because it had been months since I read the description of the challenge, I first searched only for some loose inspiration, finally deciding to catch the structure of the fassade of Santa Maria Novella in Florence in a skirt. Fortunately I re-read Leimomi’s post before I started and realized that she aimed for a much closer connection between the work of art and the project. So my search started anew. Soon I had to realize that my prohibition of fabric buying was a much larger hurdle than my pattern-paranoia and very quickly I used the fabric question as my main criteria to chose an artwork. So when I finally found a painting that suited some paticular fabrics of my stash….wonder oh wonder…. the question wasn’t anymore “oh help, I don’t have a pattern” but rather “what can I do to recreate this”. Now you might say: what, are you kidding? No, not at all. For years I had some light pink cotton velvet in my stash I once found in a charity shop, as well as two Ikea-mosquito-nets, one in white I had bought for my room when I was 16 and a 2nd one in pink I bought from a fellow member of the online sewing board I am registered at, still wrapped. They had all moved with me twice and I had no idea what to make from them. And though it is very likely that the top of her dress is satin, it could as well be velvet in this reproduction. This leads me to the picture itself: I found it in the 1904 (not dated, but dates in the texts suggest this) issue of “Moderne Kunst in Meister-Holzschnitten”, the translation already says everything: Modern art in Master-Woodcuts. While the majority of the pictures are black-and-white and indeed woodcuts, this is one of the few coloured plates inside. It can’t be a photographic reproduction in colour and it doesn’t seem to have been coloured afterwards, so I assume it is a copy after the original. While searching for the original I got quite confused. The artist, Pierre Carrier-Belleuse, painted a lot of ballet-dancers and the title given in my book, “Er liebt mich nicht”, that means He doesn’t love me, didn’t show any result at all. But after some searching online I still hadn’t found the one original, in fact I had found four! All in different sizes, different styles and some undated (there wasn’t a date given in the book, 1898 is the years the dated originals were made). Well, I won’t start arguing about attributions here, but especially the third painting is strikingly different from the other, don’t you think? The version I have printed in my book seems closest to the first and the last link, but I can’t tell for sure. Now, enough talk about art, let’s come to my dress. As I already meantioned, this project pushed me out of my comfort zone, giving me not only a period I had rarely worked in, but also the task to reproduce a dress without any pattern at all. I consulted the above mentioned Nora Waugh book and studied the dart placement and the cutting lines of late 19th century garments. After this I took a piece of cotton and started pinning on my sewing mannequin. And it worked! I am still a little baffles that I had to face neither any disappointments nor catastrophes, as I was so sure they would come. After I had completed the cotton version, I pinned this to my velvet, using the cotton as my lining (you will laugh when you see a photo of it below. It is the rest of a baby quilt I made for my boyfriend’s cousin, whose wife had a baby in january. Therefore it is a light pink cotton printed with white bunnies and ducks). I have seen many 19th century costumes in the past weeks and most of them had one thing in common: Today we tend to sew the lining and the outside fabric seperately and connect them only on the edges and maybe a few spots to avoid shifting. The 19th century costumes are usually sewn in one layer, so darts and seams are stitched through all layers, leaving you with the seam allowances inside and not hidden between the layers. Normally the seams are finished with hand stitching or bias binding to avoid fraying. So this was my method to go: pin the lining, at the same time my just constructed pattern, onto the left side of the velvet, close all seams and darts, stitching through all layers at once. I had cut the lining at the edges where I wanted the bodice to end, so all I had to do was to flap the hem and neckline allowance of the velvet to the inside and sew it. I used boning in the front darts and the side seams or should I say “cable tie-ing”, because that’s what I used (I once bought a package to try it and this were the last six I had, not that I am a large fan of cable-tie-boning, it really isn’t stiff enough for my taste)? Inside the bodice, the white thread forms the loops to close with hooks, the boning is covered by the darts and the seam allowance, the black hooks keep the skirt in place. The white square is in fact a short ribbon with press fasteners to hold the shoulder straps in place, you can attach it to your bra’s or what else’s shoulder strap you wear below. The painting doesn’t show very good, how the bodice closes, but it looks like a wrap bodice to me, so I made the front edges a convex shape and closed it with hooks and thread loops, made from white crochet yarn. I didn’t know how to make the shoulder-straps, because there was quite a lot of fabric and a sharp curve from the darts. While I could have made a real princess seam and seperating the front into a middle and a side part, I went for a little pleat in the strap. I don’t have a seperate photo from the skirt. I just used a white cotton ribbon tied around the hips of my mannequin and pleated the mosquito nets onto it. I started at the top of the net and after having finished a round I cut it where I wanted my hem to be and starting anew, always using pink and white alternatingly. I also had real, stiff tulle, but that wasn’t pink and I could have only put it on top of this skirt to have to effect of a real ballerina’s tutu. But when I had finished my mosquito net slaughter I already didn’t know when to wear such a pink tulle skirt, so I assume I would have even less oportunities to wear an even larger tutu. Because only for the record: I don’t dance at all, the ballet lessons I had in my life can be counted on one hand (I think it was four, I desperately wanted to learn it, but the teacher was just so bad, I didn’t even stayed during the cancellation period my mother had to adhere to). I have to apologize, it was very bad light today and not even photoshop could help that. Because I didn’t know how the back was meant to be, I went for a simple v-neckline as seen in some of the patterns I had looked at beforehand. When seing it now I have to admit it would have been better to include a centre back seam. To avoid a gap between the very low hanging tutu and the bodice, I attached hooks and eyes to connect them (I only had black ones left in this size and didn’t want to buy new ones only for a fancy dress). Now, after having finished it only this morning I have to say, the project was much larger than I wanted it to be, I made a dress I will presumably never wear but at a fancy dress party, I spent so much time making it (everything but the side seams and the skirt is hand sewn, because I didn’t want any seams to be visible outside). But I got rid of some large chunks of my fabric stash, I learned very much and it is so much fun jumping aroung in it 😀 This is for all the ballet lessons I never took. And only a very little fun fact to close with: Nina has a blog series called Upcycling-Dienstag on her Werkeltagebuch. Every tuesday she or guest bloggers present and collect ideas on how to turn waste into something creative, useful and beautiful. Last week, guestposter Katja shared her idea, how to turn old wooden curtain rings into small picture frames. Both of the mosquito nets had small metal rings to attach them to the ceiling. While the used one’s resembled more an egg than a ring, the brand new pink net had a still intact one. So when I started driving crazy pushing all this tulle under my sewing machine, I stopped and made some little crafting to calm down again. The search for a matching picture ended when I found an old promotional package of a famous role play game I had never played and will never play (but hey, you can’t throw away cards, maybe there will be an occation to use them, someday). How historically accurate is it? I have no idea. I don’t know how dancing costumes were constructed around 1900, if they were boned, if they were worn with a corset etc. Some of the fabrics and materials are possible, some not, the lining is just silly. The sewing itself and the closures are accurate (though I used modern press fasteners, the early ones worked with a different technique). Total cost: Direct costs, nothing, I had everything in stock. The velvet was bought in a charity shop, can’t have been more than a few Euros. Same applies for the pink mosquito net, bought online. The white one was bought new, but already had had a live above my bed, so I would call this recycling. Notions I usually buy on flea markets, too. The book I found the illustration in cost me 2 CHF. Talking about accuracy: The letter I am holding is old, but not old enough, dating from 1921. 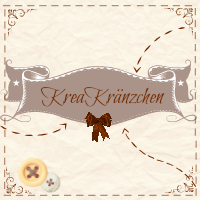 First: Welcome to my new blog-adress, I hope you found it without any problems. I was contacted by my old host, telling me that I had exeeded my upload limit, so I had to react rather quickly not to lose my blog. The move made me erase a lot of the old posts, I’m sorry if some links to no more existant posts won’t work anymore. The second challenge in the HSF 2014 was named “Innovation”. First I though of sewing a 30ies dress with a zipper after the 1939 zipper promotion I found in november. Innovation can have a very direct influence on fashion and sewing, namely zippers, artificial colours, artificial fibres and so on. But it can influence life (and thereby fashion) in a different, an indirect way. Can you imagine Dustcoats developing without cars? Bicycles did so much for the acceptance of women in trousers. Putting steel hoops in crinolines allowed the skirts to grow as big as they did in the middle of the 19th century. And you wouldn’t be able to sew a cover for your smartphone or tablet if there hadn’t been someone who invented it. Well, first I was very keen to make this miniature folding screen which is in fact a windbreak for a petroleum-operated coffee machine. But while I would have been willing to ignore the fact, that most participants sew garments (I am still not sure if it is part of the rules, if yes I am going to break it, at least this time 😉 ), I wondered if anybody would accept this as a sewing-project. At least I wouldn’t have, so I saved it for later (and please, don’t ask me when I am planning to use a miniature screen, I have no clue). While searching for a pattern or at least an idea what to make instead of the zipper dress, I stumbled upon a little device, meant for an invention of the 19th century, surely one of the most profund ones when it comes to sewing. No doubt, sewing machines changed sewing more than anything did in the last hundreds of years. Even inventions of artificial fibres or dyes did not have such an impact on the actual process of sewing. The first experimental devices to produce a mechanical seam date back to the 18th century, but it wasn’t until the middle 19th century that a properly working and commercially successful machine had been developed. The American Elias Howe had his sewing machine patented in 1846, but he didn’t succeed in turning his invention into money. After having failed badly attempting to put it on the market in England, he came back to America a few years later, only to see that a certain Isaac Merritt Singer very successfully sold sewing machines, working with his technique. This was the start of a triumphant success in the whole world. In Europe, the 1850ies and 60ies saw the birth of a large number of sewing machine manufactories, some of them survive until today. Most of them produced licensed machines after the Howe/Singer patent, often after the founder had been to the US to study the American Singer machines. The 1870ies saw a second wave of factory foundations. It would be too much to enlist all the additional inventions, patents and improvements made in the 2nd half of the 19th century. The chain-stitch machine, working with only one thread, was followed by the shuttle-operated machine, which again was followed by the bobbin system with the rotating hook, as we still use today, though the different systems lived alongside each other until the older ones finally died out. Zig-zag- and decorative seams became possible, the first electrical sewing machine was already issued in 1899. But still, having a sewing machine was luxury, at least in its early years. It took the sewing machine until around 1900 to become a indispensable part of every household. And the number of handsewn gowns from the second half of the 19th century I see everyday at work show better than any statistic that only because the sewing machine had been invented, it didn’t mean everybody had one. The tutorial asks for “Ledertuch” to use as main fabric, which I would translate as leather-cloth. I was very sure that this wasn’t meant to be real leather from the beginning. Though I wasn’t sure what this word exactly described, I went to work, using a very shiny fabric from my stash. The ones who have been following my blog for some time might remember it: I bought very much of it, because I planned to wear a hooped skirt as my prom dress. After having bought the fabric, but before I started cutting I saw that this was a little over-ambitious back then and went for a completely different style, using only very little of the fabric. A few years ago I made part of it into a half-circle skirt, using the wrong side as right side, because I didn’t like this shiny style of the fabric anymore. I still have plenty of it left and this time the shiny-ness of the fabric was just what I had been searching for. I searched for the meaning of “Ledertuch” shortly afterwards. According to an encyclopedia from 1905, “Ledertuch” describes a linen or cotton fabric, covered with linseed oil and grime, technically comparable to oilcloth, a treatment with patterned barrels gives it the appearance and marking of real leather (source). Well, I had assumed something like this. But, first, I do not know if it is still possible to buy real oilcloth, what is sold nowadays is plastic-covered fabric, at least in normal houseware shops, no tinted oil anymore. I have to admit, I keep a whole roll of patterned oilcloth from the 1950ies in my closet, but that wouldn’t have made a good match, I suppose. Secondly, I don’t suppose oil cloth is very nice to work with. I decided the shiny fabric is as close as I could get to the original one without extensive search and bleeding fingertips (and as I said, I had already begun). The box consists of two ovals, a large strip and two rectangles, all cut from cardboard and covered with the fabric. The outside of the box was to be covered in pleats on all sides but the back of the box. So I made a loop from the fabric for the inside and a panel of pleats. The latter one alone took me a couple of hours. I measured the pleats (0,5cm each), pinned them down, ironed them and basted them in four parallel lines (three of them where removed after assembling the box, one is hidden under the embroidery). I closed the upper seam, connecting the pleated panel with the lining fabric, with the machine (there are in fact only very few machine sewn seams on the box, only this connective seam and the pleats’ hem). I had cut the fabric for the inside larger than needed, like this I was able to sew it in place stringing it, connecting the seam allowance with the fabric at the bottom of the box. Here you can see the different basting seams hidden below the pleats: the seam I used to form the cardboard strip to a ring (there is no trace of glue on this box), the seam I made to tense the lining fabric and the basting I had to do to keep the pleated seam allowance in place, without it, it shore up and was visible beneath the pleats on the outside. After this step I sewed the bottom oval in place, attached the embroidered band to the pleats (it is in fact an embroidered strip of the fabric sewn onto a green galloon, tutorial asked for a woollen ribbon, that was as close as I was able to get) and connected the pleats to the boxes’ bottom., the gap in the back of the box I filled with a piece of fabric.The pleats are 1,5cm longer than the box itself, so it really has to hang, or it would stand on them. The embroidery is said to be executed in “point russe” stitch. There are very different definitions online what a point russe has to look like, but the image looked to me like a feather stitch, so I went with this. To sew the rectangles into the box to form the compartments was hell! I used curved needles, straight needles, nothing helped, it was just awful. And as you see, they aren’t set in properly, no to say orthogonally, but I won’t undo this seams to give it a second try, never! The decoration of the lid was only very briefly described in the tutorial, it only said to apply a ruffle from the same green ribbon as used below the embroidery around the edge. So I cut the rest of the galloon in half and turned it into a a loop. This loop was laid in pleats and attached to the lid, upside down, so that I would be able to fold it over the sewing allowance and give it a clean look on the upper side. Unfortunately the galloon frayed horribly and while I folded and basted it in place, the seam allowance became visible in several spots. I couldn’t think of an alternative to attach the galloon with a better result, so I sought for an emergency solution. Luckily a darning cotton I founnd in my stash matched the colour very well, so I turned the 20m I had of it into a braid and sewed it on top of the fraying sewing allowance. You can see that colour of the darning cotton is close, but not the same. But this is really barely visible. In the middle of the lid I attached a small loop below the ruffle, made of a small rest of the braid (the tutorial suggested ribbon or fabric, but because I had no use for the rest of the braid, I chose this). The colours, black fabric, green ribbon and white embroidery, where given in the tutorial. I stuck to them but for some exceptions: The rectangles inside the box as well as the lid were meant to be attached with white thread. I decided this to be a very stupid idea, at least for me, because that wouldn’t only mean that the compartment themselves look messy, but the seams holding them as well, So I went to work with black thread. And the bow on the handle was to be made from black silk ribbon, but because I still had some white satin ribbon in my stash, I used this. Notions: cardboard, twine (to sew the cardboard), polyester thread (machine seams), cotton thread (hand sewn seams), pseudo-woollen galloon (normally used to edge wool-fabric), white thread (maybe mercerized cotton, used as embroidery thread), 20m darning cotton, satin ribbon. How historically accurate is it? Very, but for the materials used. I followed the pattern very close and tried to use only techniques available back then. I am pretty sure the green galloon is not made from real wool and I certainly know the fabric and ribbon to be artificial fibres. So the shiny-ness of the material is not caused by linseed oil, as would have been historically accurate, but by the fabric itself, so I would argue the overall appearance is at least comparable to the original. Hours to complete: very many. This is by far the most time-consuming thing I ever made, considering the time it took and its final size. 10-15 hours I suppose. Total cost: I can’t remember how much the fabric was, something between 6 and 7€/m, I used only very little of it, so maybe 2-3€ for the fabric, but it has been in my stock for years. Cardboard was left from some calender or wrapping, can’t remember, but it was definitely for free as material. Embroidery thread was old, found it in my stock, can’t remember from where I got it, same applies to the darning cotton. Only thing I had to buy for this project was the green galloon, I bought 1m and paid something like 2 CHF. As a résumé I must say, this tutorial wasn’t logical at all. The loop suggests to be used to open the box, but the lid can’t be closed, because the pleats force you to hang it, using the handle on the lid, opening it. Additionally the lid should have been made slightly larger that the bottom oval. The pleats seem to enlarge the box visually, so the lid appears to be too small. Additionally, the cardboard bents a little to the outside and intensifies the effect. But I am content with the result and working with an almost 140 year old tutorial has been real fun.